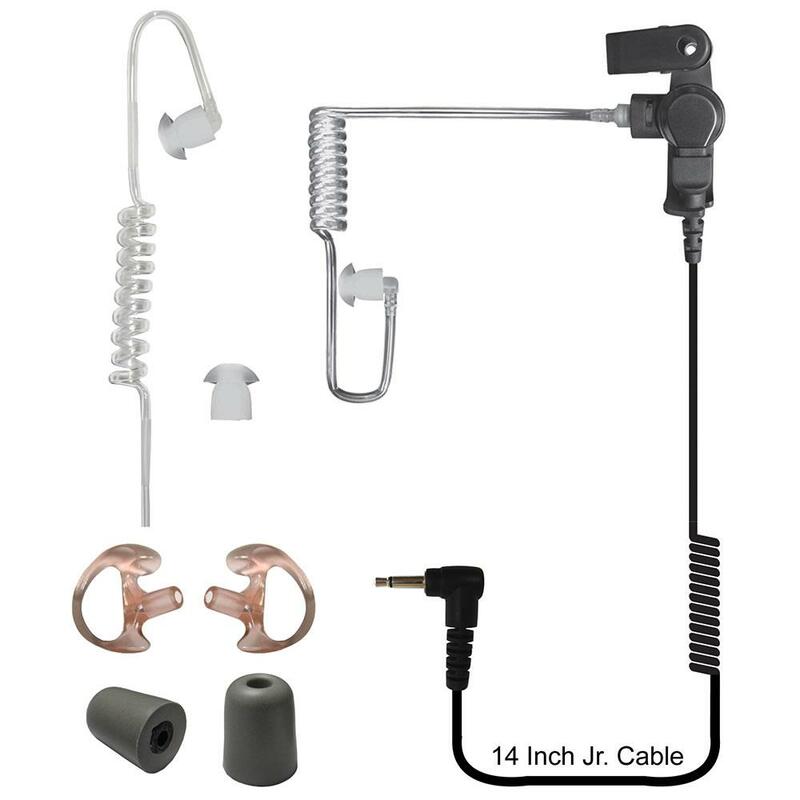 Silent Jr 2.5 Two Way Radio Low Profile Clear Acoustic Tube Earpiece is extremely comfortable. Downtime is eliminated as all components are field replaceable. The cord is enforced with Kevlar® to insure reliability, even in the toughest applications. The Silent Jr has a Kevlar® re-inforced 14 inch cord and a 2.5mm connector. Compatible with shoulder microphones that have a 2.5mm earpiece port on the microphone head, which include most Kenwood, Harris/ MaCom, Otto and Thales speaker microphones.